The League of Essextraordinary Gentlmen (and Gentlewomen), is the site dedicated to the persuit of steampunk in and around the county of Essex. The aims of the group are as follows. 1. To enjoy the benefits of amiable companionship in attractive locations. 2. To hold regular social meetings for members within the County. 3. To organize events for the benefit of the general steampunk community. 4. To increase public awareness of Steampunk. 5. To foster an affiliation with other steampunk groups. 6. To provide opportunities for car sharing for members travelling to events, in order to reduce travel costs, and create a resource for members without access to transportation. In recent years, steampunk has experienced a massive increace in popularity, with steampunk elements appearing in films and television programmes. 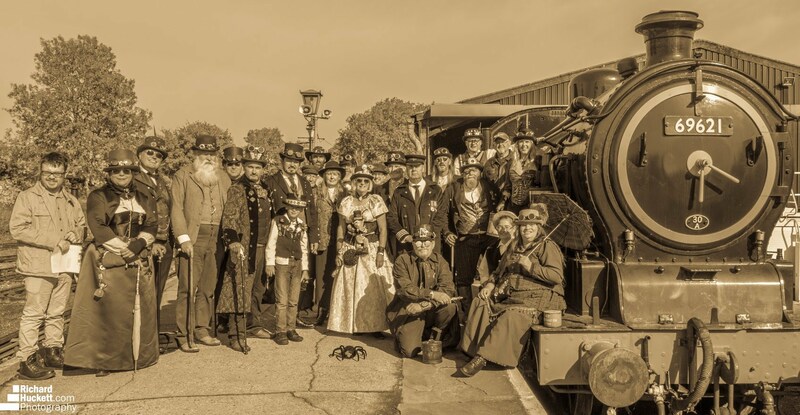 Throughout the year, steampunk events are taking place around the country, rangeing in scale from small social gatherings, to The Asylum, the largest steampunk convention in Europe, taking place in Lincoln, in August. The League of Essex is still a very young group, and as such it is still in a state of development. At present, the members use The League of Essex Email Discussion group to communicate with each other. If you wish to join this E-Group, FOLLOW THIS LINK, then click the "Join This Group!" button at the top right of the page. If you have problems signing onto Yahoo, please send a messge including your email address to steampunk@leagueofessex.com I will then send you an invite to the group. This will simplify the signing up process. Subpages (1): What is Steampunk?